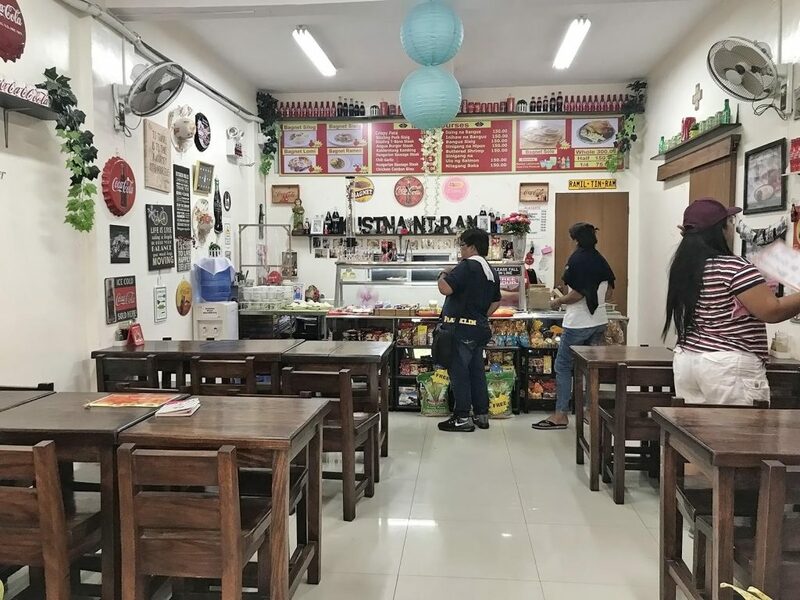 Kusina ni Ram has predominantly white surrounding; The floor has white glossy tiles, while the white ceiling has hanging baby blue round lanterns. 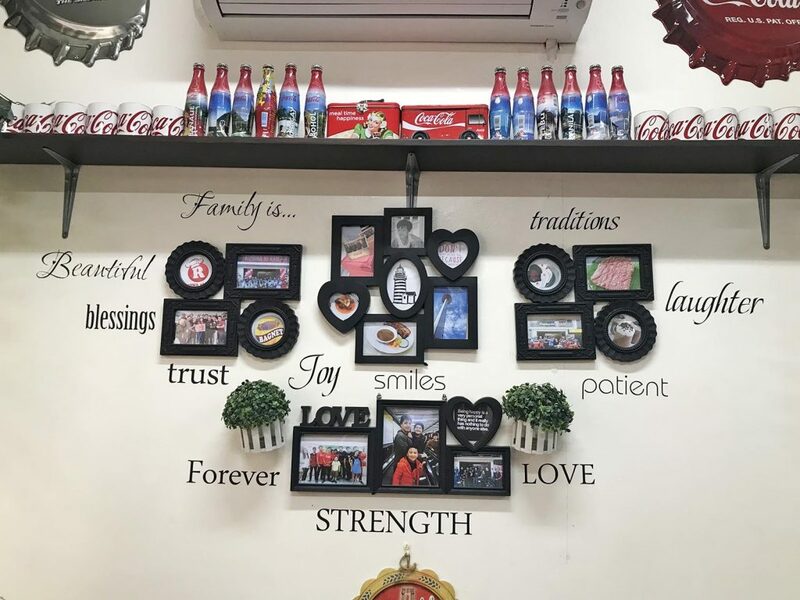 The white walls are decorated with framed photos, inspirational posters, soft drinks bottles, and Coca-Cola-themed pieces. The restaurant is located at a commercial lot along Sto. Domingo Street in Calatagan, Batangas. The Church of Calatagan is the nearest landmark. 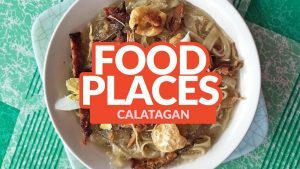 It serves Batangas dishes, with bagnet and bagnetsilog as the most popular. It caters to both families and group of friends. 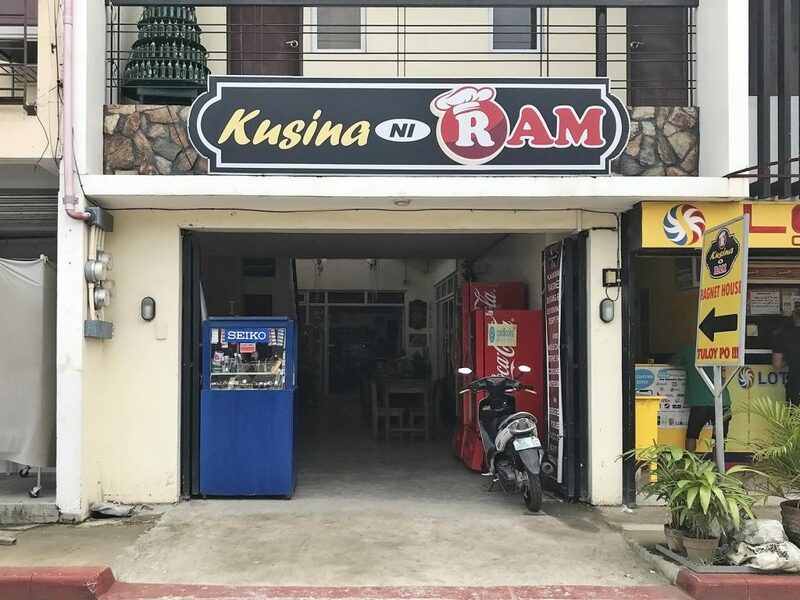 Kusina ni Ram does food delivery and offers catering services. You may contact them at these numbers: (043) 419 0206 and (0918) 603 6320. Facing Sto. Domingo De Silos Parish Church, also known as Church of Calatagan, walk towards the left side until you find the restaurant. You can easily spot it as it is located near the church. 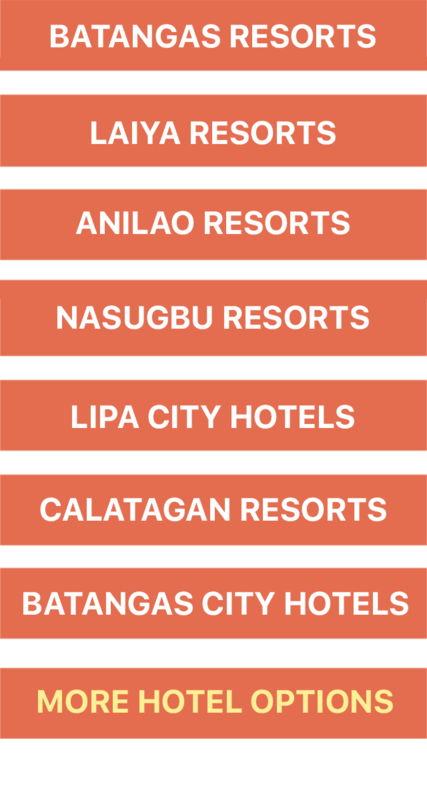 Coming from Manila, you may take DLTBCo Bus bound for Calatagan. Get off at the Calatagan Bus Terminal. The fare is ₱168. From the terminal, take a tricycle to the restaurant. 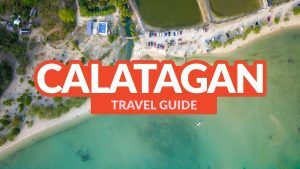 You can use the Church of Calatagan as your landmark. The fare is ₱12.